Oooh, Shinies! : A green oldie from the vault! 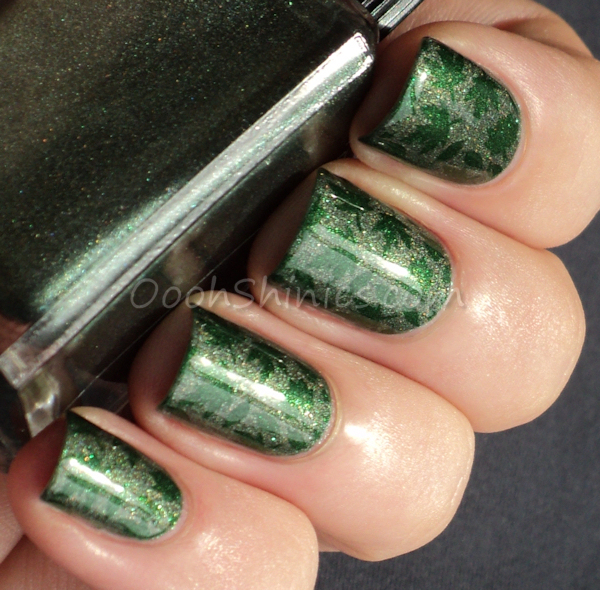 Cadillacquer I'm The One Who Knocks with China Glaze Jolly Holly and plate DRK-C.